Happy New Year! DUCTZ is growing into the New Year and will need additional customer service focused technicians to join us. We are accepting applications for F/T and P/T duct cleaning technicians in the East/West Valley and Tucson. WEEKLY PAYCHECK! 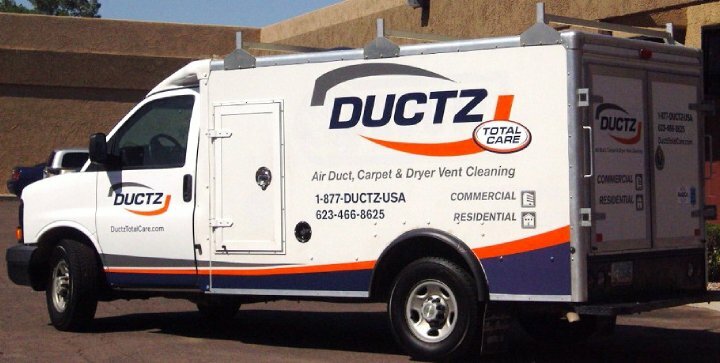 If you have air duct cleaning, HVAC, or kitchen hood cleaning experience please send us your info and email to at http://www.ductz.com/servicesrequest.html or respond directly to this email. DUCTZ is an equal opportunity, drug free company (we test). Applicants must hold a current, valid drivers license, pass a pre-employment drug screen, be able to lift 50-75 pounds and safely climb ladders periodically during a shift. In addition, candidates MUST be able to have reliable transportation to and from job sites in Metro Phoenix and be able to access high security facilities. Visit our website above or reply directly to this ad and apply today! Please add the words “employment search” to the “describe your needs” box on our site. DUCTZ of North Phoenix and Deer Valley Glendale gets Angie’s List Super Service Award! Fans everywhere rejoice! It’s true! DUCTZ of North Phoenix and Deer Valley/Glendale was awarded the Angie’s List Super Service Award for 2012! Long recognized as the Valley leader for innovative air duct cleaning solutions, now we have been recognized for our STELLAR customer service as well! Want to find out more about us? Give us a call at 623-466-8625 or visit our website at www.ductz.com! Want to buy dryer vent cleaning gift certificates in Glendale, AZ? Call DUCTZ! DUCTZ of North Phoenix and Deer Valley/Glendale sells gift certificates too! If you have someone on your hard to shop for list give us a call at 623-466-8625 and let us take care of the rest! Dryer vent fires account for more that 15000 in home fires per year and a good portion of the utilities in a typical home. Why cry over wet jeans and towels? Call us today for a better idea! Visit DUCTZ of North Phoenix on Facebook! DUCTZ of North Phoenix and Glendale has a new website! You asked for it, you got it – DUCTZ of North Phoenix and Glendale has a new website! Now you can visit our site and get all of the information you need to begin the planning stage of your cleaning or restoration project. Visit our new site at http://www.ductz.com/phoenix-deervalley and call us today at 623-466-8625 and ask for one of our commercial or residential project managers today!